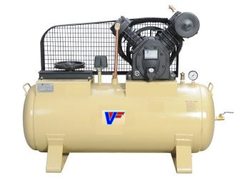 Offering you a complete choice of products which include non lubricate air compressor, single stage compressor, high pressure compressor, two stage heavy duty compressor, vertical type air compressors and small air compressor. These non lubricated (oil free) air compressors are designed to provide high level quality air at the highest reliability. The discharge line is free from any oil contamination. These compressors find extensive applications in hospitals, pharmaceutical Industries; petroleum industries; laboratories; electric electronic units; textile industries; food processing; chemical; spray painting etc..
We are among the distinguished names in the industry for manufacturing and retailing High Pressure Compressor. The offered compressor is made from high-grade materials sourced from a reliable vendor base. It is sturdy in terms of housing and is offered at industry leading prices. This compressor is durable, resistant to abrasion and ideal for heavy duty performance as well. 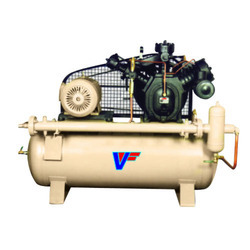 We are among the reputed names in the industry for manufacturing and supplying Two Stage Heavy Duty Compressor. The offered compressor is ideal for various industries including chemical, automobile, electrical, food processing and pharmaceutical. 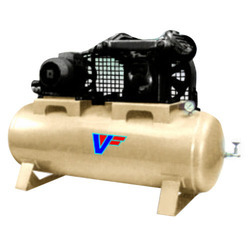 This compressor is robust in terms of construction and is durable. It is user-friendly, resistant to abrasion and non-corrosive as well. 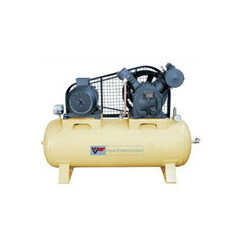 Our organization is among the acclaimed names in the industry for manufacturing and supplying Small Compressor. The offered compressor has earned us loads of profits and appreciation for being robust in terms of housing and user-friendly. This compressor is used for panel spray painting and offers trouble-free operations. It requires low maintenance and is resistant to high pressure environments as well. 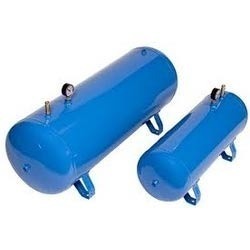 We are a trusted name in the industry for manufacturing and supplying Horizontal Tank. The offered tank is dimensionally precise, spacious and robust in terms of construction. 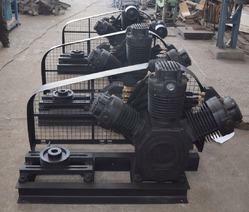 It is extensively used in engineering and automobile industries and has earned us loads of appreciation. This tank is durable, resistant to corrosion and available at industry leading prices as well.